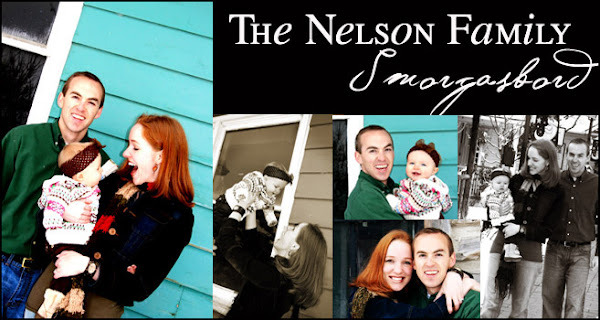 The Nelson Family Smorgasbord: Quirks! 1. Eating to me is for enjoyment purposes only. If I cannot enjoy my food, I refuse to eat it, or I will save it for later. (i.e.-Our play group Easter egg hunt party...some of you may have noticed I stowed away my plate of "preschool delights" and hid it in the stroller to eat for later. If the atmosphere is not conducive to eating, I feel it's a total waste of consumption! Who wants to wolf down a meal when you can't even enjoy it! 2. When I wake up, I have to make my bed immediately or I feel completely out of order! When the bed's made, I feel refreshed and ready to tackle my morning errands! 3. I never put a sandwich or a cookie up to my mouth. I break off bite sizes and pop them in one by one...it drives Jordan crazy. 4. I still love putting both of my legs behind my head. When I was little, my mom would come into my room to find me on the bed reading with my legs perfectly pretzled behind my head. 5. Ever since I was a little girl, I've been terrified of getting a double chin (I know! !...this is probably the quirkiest of all! ), so you will often see me doing my "neck stretch and veiny ostrich exercise" (honestly, I don't know what else to call it!) It's pretty gross and my veins will pop out of my neck and you can touch them..ewww! Yikes...Fortunately, I think most of you already know about all of Kristin's Quirks, and you still love me in spite! Ha ha ha ha!! I laughed at this post because they are all so true. As a former roommate of Kristin Dahlquist...I can attest to the double chin one...and the breaking off pieces of a cookie one. (I remember sharing a cookie with you once and you did that and I thought it was because you didn't want my germs. Was it really just because of this quirky habit of yours? or was it my germs?) Can I add another quirk?? You also have a the odd behavior of sticking things under the door while people are in the bathroom!! Yes. Don't try to deny it. I laughed so hard because Andrew does that to me occasionally. The first time he did it..I was laughing so hard thinking that I am destined to live with such a quirk forever. Thanks for sharing. Kristin, you are hilarious! I can honestly picture those neck-exercises . . . maybe from a distant EFY memory . . . or maybe because I have the same fear and haven't known how to combat it. I think you would be a great double-chin-reducing personal trainer....ya know, as if you didn't have enough to do anyway! Kristin thanks for making me laugh! You are too cute. I love that you saved your food from the Easter party, didn't even notice. But it was definitely too chaotic to enjoy your food! LEGS BEHIND YOUR HEAD?? This I have to see! Kristin you are soooooo cute! I loved this post! I love all your quirks and find them completely charming and adorable! It was fun to think back to some of them from when we were roommates. Fun times! I have to agree with Rachelle, the sticking things under the bathroom door is definately such a quirk for you! I also loved the double chin because it is very true! When Elder Bednar was my stake president in Arkansas he'd always say, "Let your wierdness work for you"..he was referring to missionary work, but I think we can apply it to quirks too! Kristin I love the quirks. The double chin thing is definetely something I have never even heard of, you'll have to show me sometime. I love quirks...it makes life fun because no two people are exactly the same! And I love your quirks! How cute! 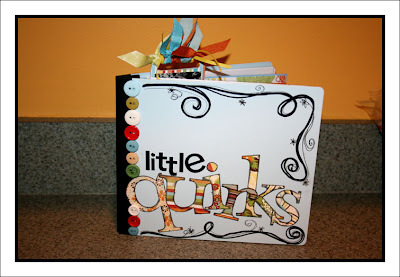 Tell your sister she is very talented, that book is adorable!